Odd Fellows Hall hosts a monthly meal. 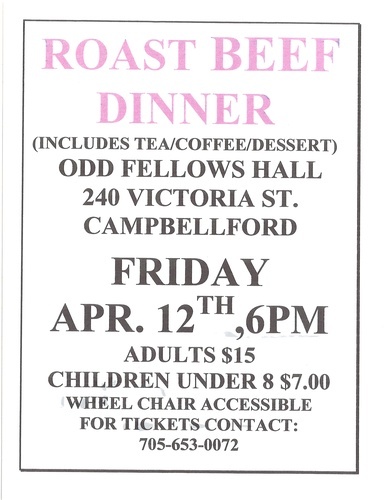 April will be a Roast Beef Dinner including tea, coffee and dessert. The facility is fully accessible. Tickets are $15 for adults and $7 for children under 8.